Here’s a sage piece of advice for parents struggling with their children’s sleep habits: this too shall pass. For all those mums and dads rocking their babies to sleep for hours on end, or soothing crying children in the middle of the night, take some comfort in knowing that cheeky sleep habits don’t last forever. A new dawn (following a good night’s sleep) may be just around the corner! 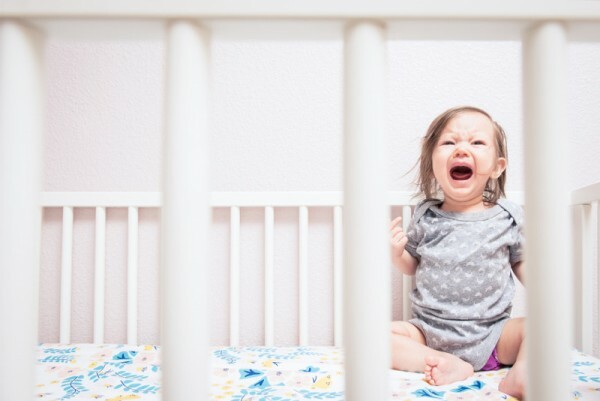 Once your baby moves on from the newborn stage of sleep, things can get a little tricky. You may have laid some amazing sleep foundations – implementing a routine that allows for your bub to wind down and pick up on sleep cues, but those annoying sleep habits still manage to sneak in. Here are ten that your infant may be experience, but will eventually grow out of. Even if you have a rock solid sleep routine in place, that involves a warm bath, a soothing book and a feed, your little one may still be wanting comfort before saying farewell for the night. They may point to their books, wanting another story, or simply cry when you walk out of the room. You may have to return several times, and place a reassuring hand on their back so they know you’re still there. If you want to, you can limit the number of times you go back to say goodnight, so your child can learn to settle themselves before falling asleep. This stage can be long, hard slog – but take heart, it won’t last forever. Some babies like to foreshadow their yet-to-come party days, and wake in the middle of the night, ready for dancing, singing and playing in their cots. They particularly like the sound of their own voices, and you may hear them wrangling their vocal chords in the wee hours. If your child isn’t distressed, it’s best to let them go, and eventually they should return to the land of nod. Comforters are a big part of sleep for many babies, whether that be a dummy, blankie or teddy. And woe betide the entire household if said comforter decides to take a trip out of arm’s reach. 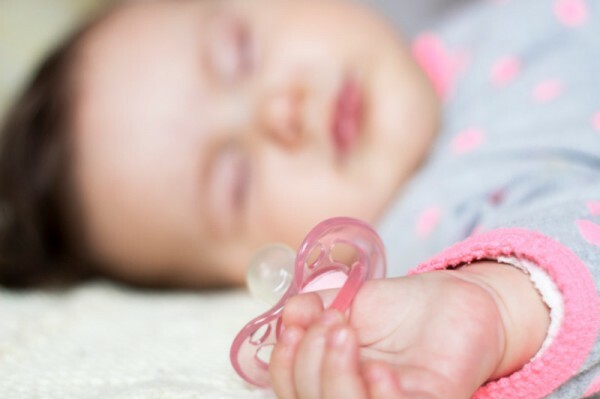 Eventually, your baby will learn to replace their own dummy, or find their own lost blankie in the cot – so this annoying sleep habit shouldn’t last too long. Most experts indicate that if your baby is developing well, you can begin phasing out night feeds from around six months. Of course, if you’re both comfortable having a quiet feed and cuddle during the night, then there’s no need to stop. Just remember that if you do decide to end night feeds, your baby will have to kick the habit slowly, so it’s best to try and reduce the length of the feed over a period of time, rather than going cold turkey. There’s no safer, warmer or more comfortable place in the world for a baby than their parents’ arms, and this is why so many little ones get in the habit of being rocked to sleep. But as your baby gets older, unless you’ve got biceps of steel, you’ll be wanting to break this snuggly sleep habit. Again, it’s a case of weaning your baby off this routine, so perhaps cutting down the amount of time you rock them in your arms each night. If your child isn’t an early waker, you should thank your lucky stars! There are many babies who think the crack of dawn, or before, is the perfect time to get the day started, and they simply will not buy into the concept that if it’s dark, they should be asleep. Throw in daylight saving changes a couple of times a year and it can all get a little too much. Your child will grow out of this habit – but be warned, it may not be until their teen years! In the meantime, try and see the best in those quiet early hours. Have some snuggles, a warm drink and some quality time, before the rest of the world wakes. Separation anxiety can kick in at around six months, and this can happen during the day and night – whenever you leave your baby. As your baby gets older, she will eventually realise that you will return, and she’ll get the hang of self-settling, rather than relying on you. 8. Look at me, mum! 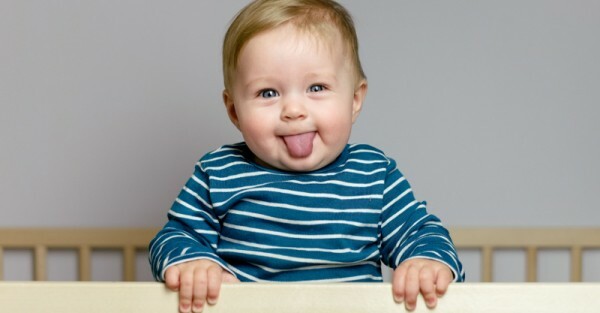 During your baby’s first year, they will experience huge developmental milestones. Rolling, sitting up, crawling and walking are all incredibly exciting, but can also impact sleep. Once your baby starts rolling, they will find endless joy in doing so in their cot, while they should be slumbering. Likewise, sitting up. They’re just as proud of these achievements as you are, and will practise them whenever and wherever. Try and ignore this behaviour – they will eventually get tired and fall asleep. Some babies manage to time their bowel movements like clockwork, including overnight number twos (and threes!). Perhaps it has something to do with relaxed bowels, but you will probably be changing nasty night-time nappies well into infanthood. There’s really nothing you can do to combat this, so just make sure you have a great nappy, because nothing interrupts sleep more than having to change the cot sheets too! While most sleep habits are something we’re super keen to farewell – this is one that you’ll want to hold onto for as long as possible. Your child will eventually begin using stalling techniques as they get older, in a bid to extend bedtime. One of the earliest they’ll learn, even before they can talk, is one more hug. All it takes is those chubby, outstretched arms and a tired mum’s heart will melt. Remember, this beautiful sleep habit most definitely won’t last forever. Hopefully, it will continue well into childhood – but eventually they’ll no longer need that one last hug before closing their eyes. So hold them tight, breathe them in. There’s nothing quite like holding your entire world in your arms.